If your business is based in Dorking and the surrounding areas – friendly, fast and reliable IT support is only a phone call away. Our expert team are on hand to offer IT support for families and businesses, with affordable rates. Have you got slow broadband? Do cloud solutions confuse you completely? Does your computer or laptop need repairing? You should have a chat with us. We’ll sort you out with superfast broadband and make sure that all of your important documents are safe with onsite and cloud-based backup solutions. The best part is that we won’t baffle you with jargon and will keep you updated on our progress and provide transparent pricing. Our aim is to help households and businesses run efficiently and productively. To do this, we offer a range of proactive IT support services. We want you to rely on us and trust us with your most precious pieces of technology. To make you feel more at ease we operate on a “No Fix, No Fee” policy. We originally contacted Woodstock when moving our offices from London to Dorking. We have found that they offer a first class service, liaising at all times with our phone providers when setting up our new systems. All aspects are dealt with promptly and very professionally. I would thoroughly recommend this company to anyone looking for excellent IT support. We want to take one less thing off your to-do list and help you save time and money. Technology can be a challenge but it is a challenge that we love and we won’t stop until we can provide you with a full IT solution. Give us a call today on 01403 290321 or 01293 912321. 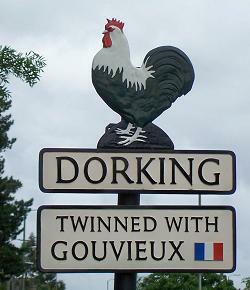 Dorking is a beautiful market town located in Surrey. Home to three railway stations, it is also the perfect location for commuters to settle down and enjoy some beautiful Sussex countryside. The town is well known for it’s stunning landscape and much of Dorking’s original character still survives. It boasts a number of stunning walks and great restaurants. Over the decades, it has grown and welcomes a wealth of new businesses, including national and multi-national companies, that serve the needs of the 21st century. Where there’s a business that relies on its IT systems, you’ll find Woodstock IT happy to help improve productivity, security, and efficiency with modern solutions.